"You think I'm afraid of you?!" 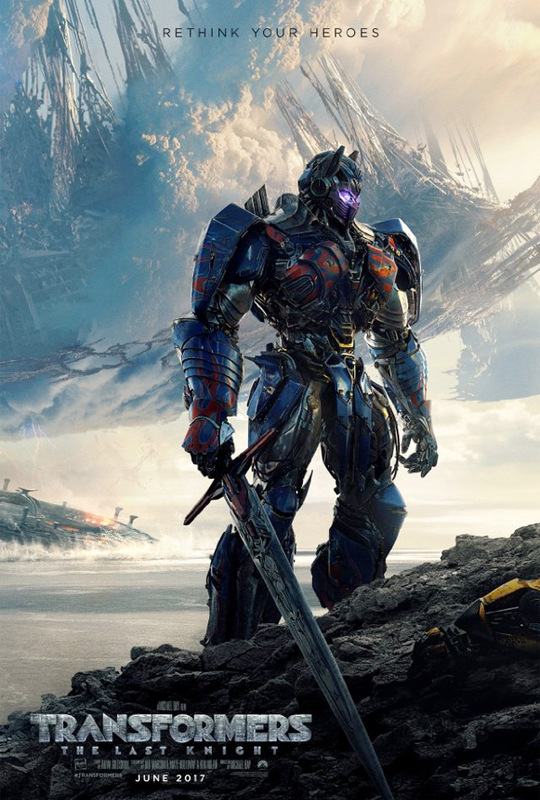 Paramount has launched a new full-length trailer for Michael Bay's latest Transformers sequel, titled Transformers: The Last Knight. This new trailer is totally focused on the kids in the movie, a cast of youngsters who have to deal with the Decepticons coming back for revenge. Why the focus on the kids? Because this trailer was created exclusively to run in theaters with Beauty and the Beast, of course. The full cast includes Mark Wahlberg, Anthony Hopkins, Laura Haddock, John Goodman, Stanley Tucci, John Turturro, Josh Duhamel, Isabela Moner, Santiago Cabrera, and Liam Garrigan as King Arthur; plus the same voices as before: Peter Cullen, Frank Welker and Ken Watanabe. This is a very odd trailer, I don't think I like it much, but points for doing something different.